Andy Wirt, church planter and pastor of the ClearView Church in New Albany, Ohio, has announced the conclusion of the Clear View project. The Wirts moved to the New Albany/Gahanna area in February of 2007 and began making contacts and working to gather a group of people to work toward a Grand Opening for ClearView Church in the fall of 2009. Their first-ever worship gathering was in the Wirts’ home on March 16, Easter Sunday, 2008, with sixteen people present. 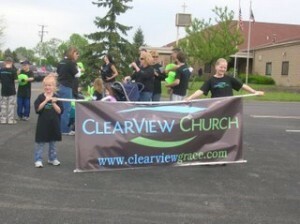 ClearView was voted into membership as a church in the FGBC in August of 2009 at the national conference in Columbus, Ohio. Wirt thanked the many who have prayed for and supported his family and the ClearView church and asked for prayers for the families of ClearView Church and for his own family, in deciding where God would have them put their gifts to service next. Wirt concluded, “My family and those in our spiritual family have prayed about and discussed this course of action at length. Although saddened by a dream not fully realized, we sense God’s peace in moving forward in this way.” He may be reached at andy@clearviewgrace.com.